Thank you - your enquiry has been successfully received! An error has occurred while submitting your request - we apologize for any inconvenience. This project is about the lives of women around the world who were all born on the same day (12 June 1951) but in different countries. The aim of the project is to look at similarities and differences in their lives, and to consider the ways in which they have been shaped by opportunities and experiences within their different countries and cultural groups. I am a researcher and I was born on 12 June 1951. If you would like to participate in this exciting project, or are interested in finding out more, please contact me. I would love to hear from you! 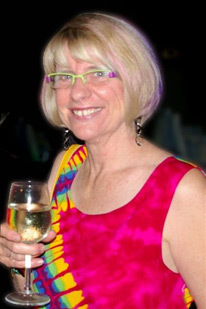 Linda Gilmore is an educational and developmental psychologist, a researcher and writer. She teaches psychology at Queensland University of Technology in Brisbane, Australia.